Work day! The grind begins. These past two weeks have all been exposition for the hard work to come. 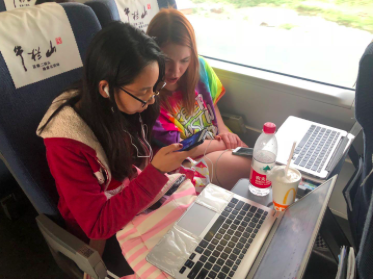 After arriving in Shanghai and doing some fieldwork, every group went all out in finishing their final projects, both the paper and the presentation. Synthesizing all the data we had gathered in each of the cities we went to was difficult work, especially considering the language barrier when actually translating our results. The one sentence thesis was probably the most difficult part of the project, considering the thesis had to fit all of the arguments, of which there were many, as well as reference the effect of Globalization on our projects. The work was difficult, blood, sweat and tears were shed, but we all completed our projects to perfection. After presenting our final projects to Professor Sheehan, all 14 of us were free to explore Shanghai. The majority of us decided to go to the fake goods market, a sprawling mall full of ‘genuine’ luxury branded products. Bargaining was an incredibly useful skill here, so everyone was able to get goods at incredibly cheap prices. Beware for the search for the authentic. 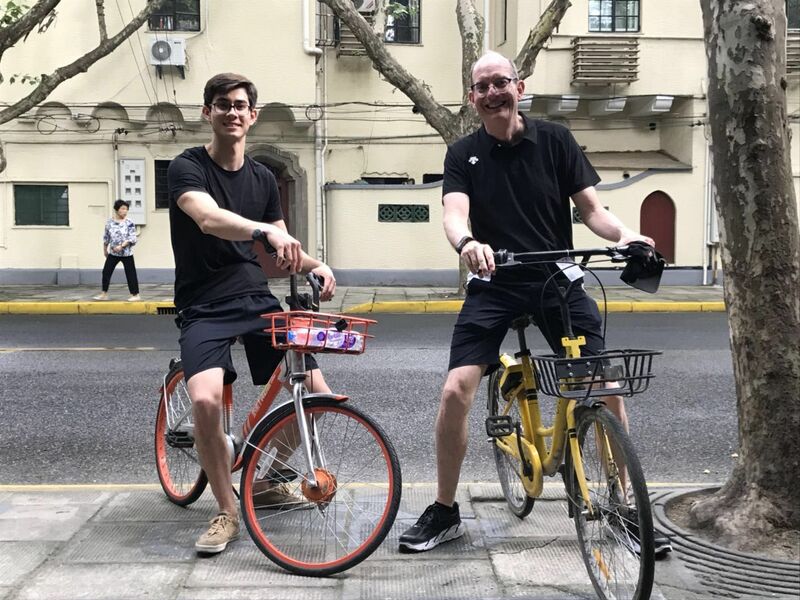 Others of us went with Professor Sheehan to the French Concession, a beautiful piece of Europe in the center of Shanghai. Wide, tree-lined avenues, with relatively quiet streets. Biking through the French Concession was pretty amazing, when looking at all the boutiques and cafes, almost reminiscent of Paris itself. Several historic landmarks dotted this part of Shanghai, including the Garden Hotel, a former Expat clubhouse converted into a luxury hotel, as well as the many villas left by French nationals in Shanghai. 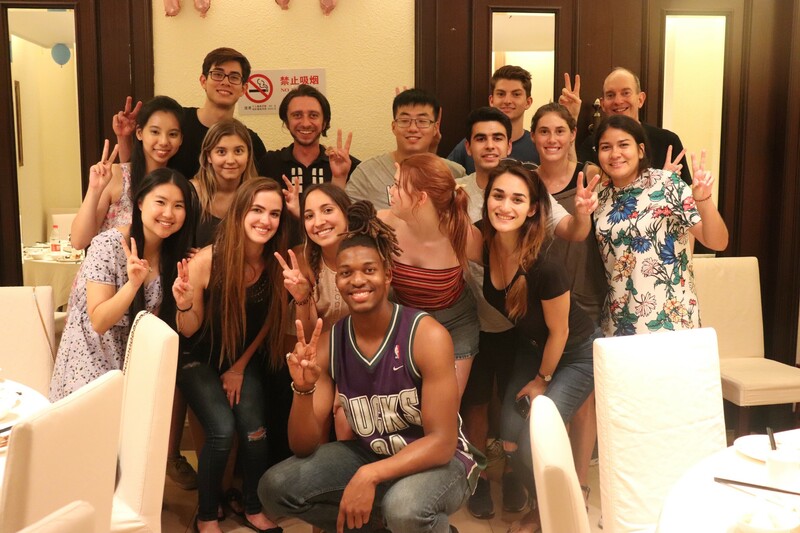 After returning from our daytime activities, the entire program went together to a Global East Asia banquet with Professor Sheehan’s wife, YiYu, where we enjoyed traditional Shanghaiese food. We all individually toasted with Professor Sheehan for our experiences on this amazing program, as well as our TA, Hao, and Ron for their birthdays. The cake was delicious. There and back again, now that the trip has ended, with all our fun experiences and hard work, we each go back to our normal lives, but with true bonds of friendship, not broship. 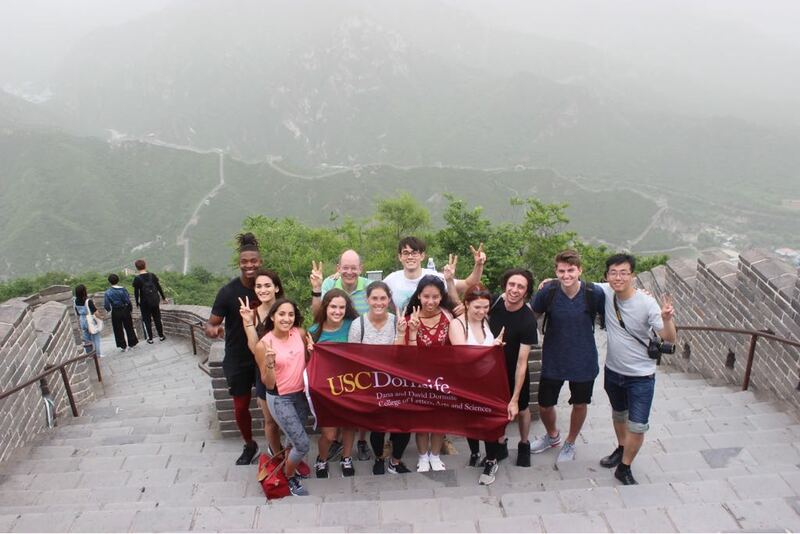 Thanks Professor Sheehan for such an unforgettable experience in China, and we can’t wait for the reunion! 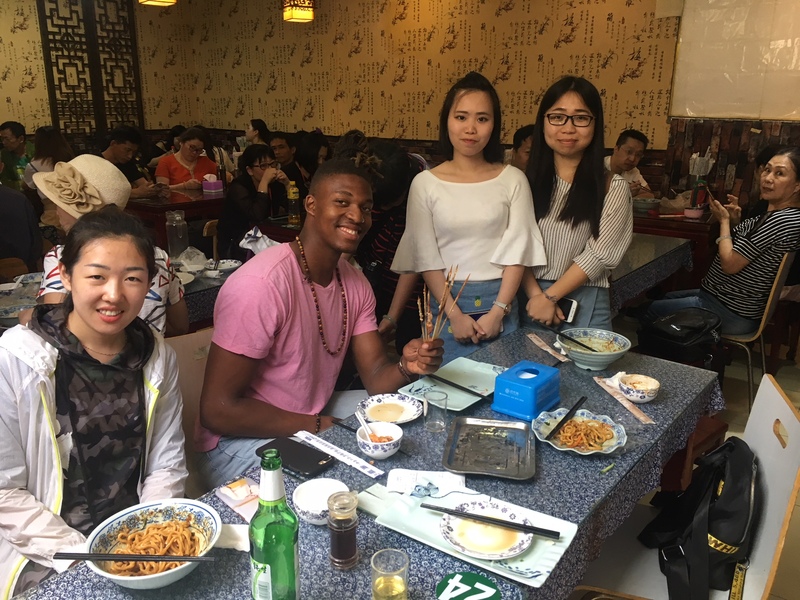 After our adventure in Zhengzhou, we grabbed our last delicious lunch organized by Johnson (our tour guide) and headed to the train station. 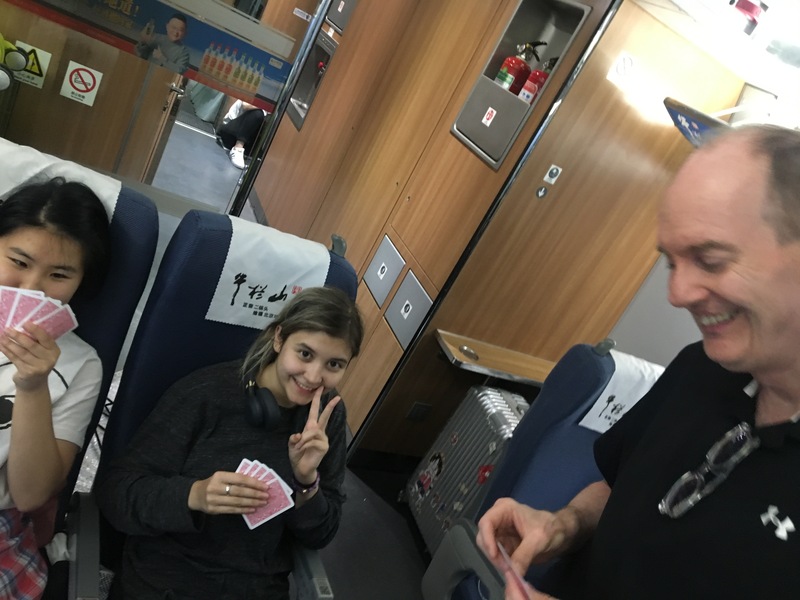 The train to Shanghai lasted approx. 5 hours which was great because we all got plenty of time to sit with our groups and start crafting our final research paper…and play some fun card games too. 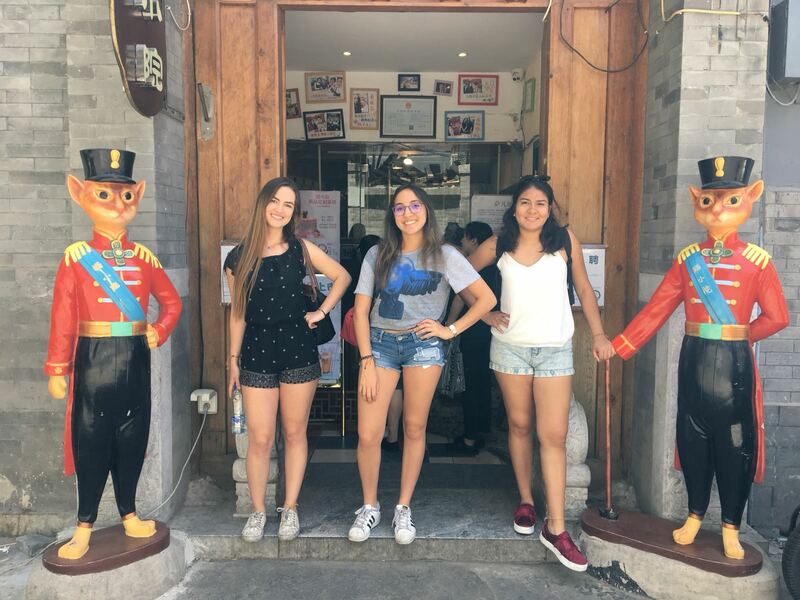 By the time we arrived in Shanghai, every group had a pretty solid thesis and outline so we were all ready to go out and explore. 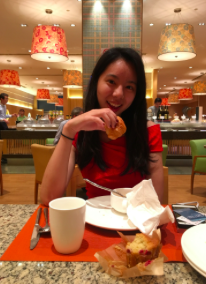 Yummy breakfast at the Sheraton! We had the best breakfast this day in our hotel, the Four Points Sheraton. There were waffles, toast, eggs, noodles everything! 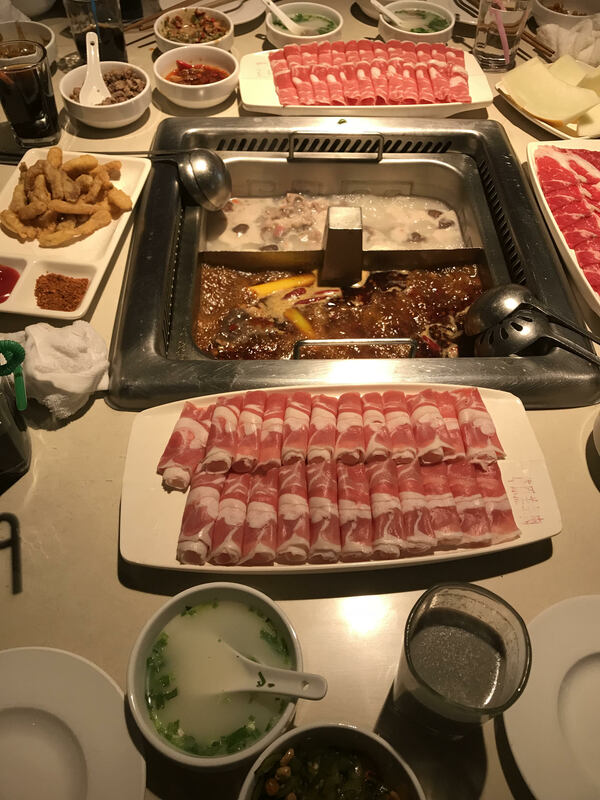 Since we have a lot more independent meals in Shanghai we all took advantage of the delicious food. The next day we all split up into our research groups to conduct our field work in Shanghai. The Supplement group visited several pharmacies and supermarkets to collect their final data and observations. 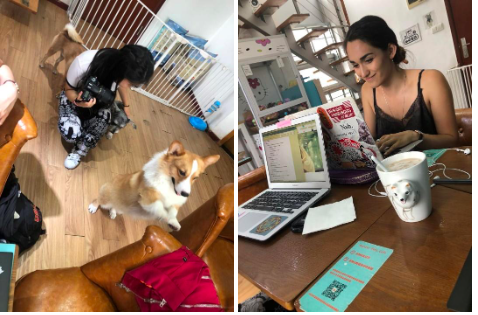 They then had the best idea ever and decided to go to a dog and cat café to play with the animals and take a bunch of photos (the puppies were so cute!!). They then got some yummy drinks and continued working on their final paper. Today was the day that our group left Shangqiu for Kaifeng. We boarded the bus early in the morning and set off for a busy day. Our first stop—lunch, a meal full of fried foods including fried chicken, fried bread, and even fried ice cream. After lunch we headed to the most rural place we would see on the trip, a remote village surrounded by acres of pastures and fields. We took a stroll around the village and made conversation with the locals we encountered. The village consisted of connected brick buildings along paved roads, many with large red doors adorned with Chinese characters. Professor Sheehan and Hao made conversation with many people in the town. The first was a group of elderly who told professor Sheehan that their now grown children had jobs in the larger cities nearby. We also talked to a mother who was cleaning her young toddler outside her home. Although this was the most rural place we visited, the village was considered well off since it had paved roads, cars, and large buildings. 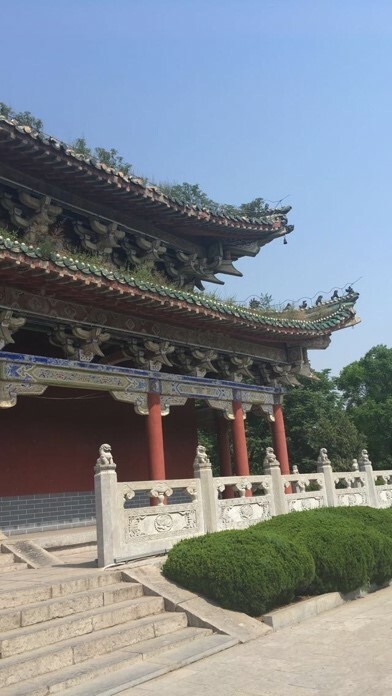 After our short trip to the village, we headed to a theme park based on the Song Dynasty. The theme park had many shows, including an acrobatics show, a fire show, and a horse show that reenacted a famous war story from the Han Dynasty. The theme park also had people dressed in traditional Song outfits and recreations of traditional style bridges and buildings. At last we arrived at our hotel in Kaifeng, our nicest hotel yet. 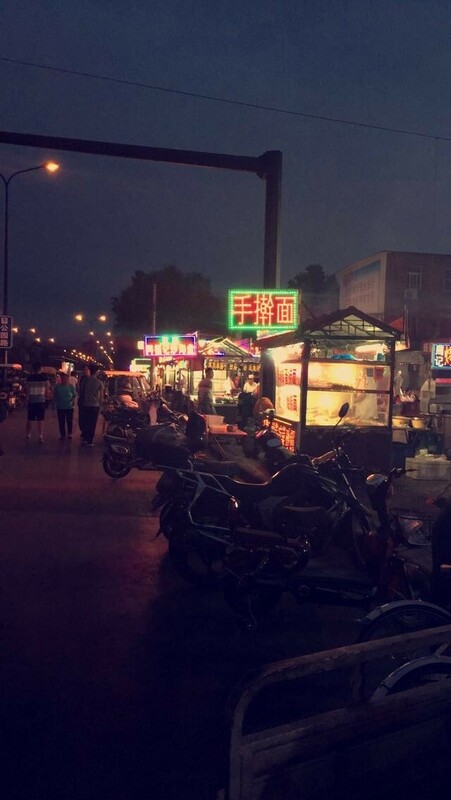 That evening, we explored Kaifeng’s famous night markets. We quickly recognized Kaifeng’s lively spirit. 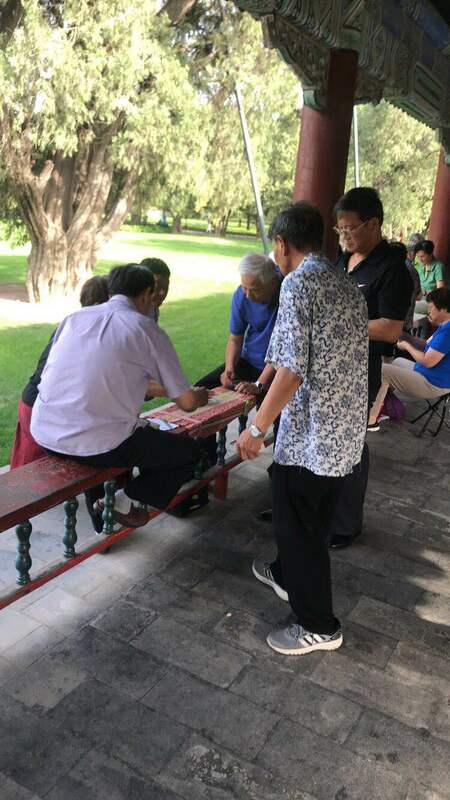 At Kaifeng’s famous Drum Tower district, many families and young adults were out and about, enjoying the atmosphere and delicious food from local vendors. We found ourselves in a shopping area with European architecture. Many of the stores were teen clothing stores, which is perfect because that is our research topic. 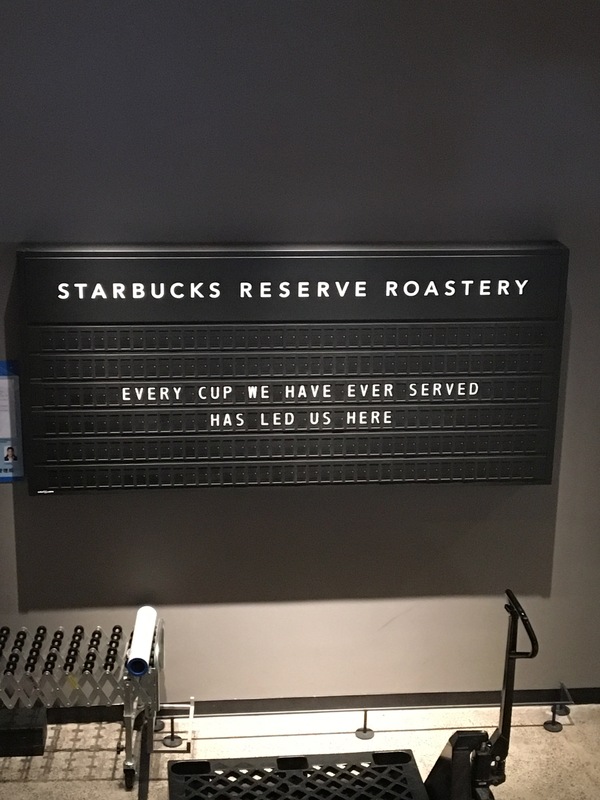 Jenny and I capitalized on the opportunity and recorded observations of product offerings and store atmospheres in Kama, Meters/Bonwe, and Samir—our stores of interest. After hitting all our stores and doing a little bit of shopping, Jenny and I headed back to the hotel. Before heading to bed, we found the group gathered around a claw machine. 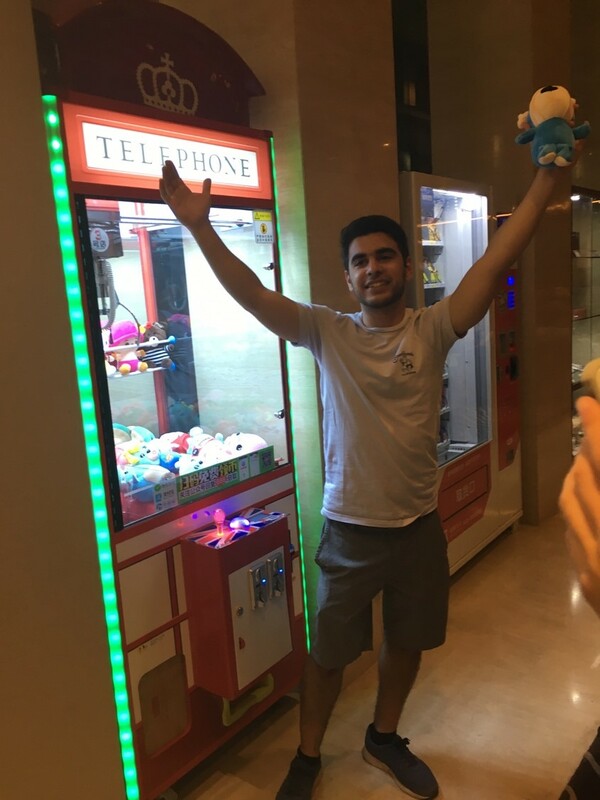 We used the last of our day’s energy watching Ron’s triumph, winning a stuffed animal from the machine—a great end to a great day. On the 31st of May, we started the day with breakfast at the hotel and then went sightseeing in Kaifeng before doing more field research. In the morning, we went to see the Iron Pagoda; some people decided to climb up the Iron Pagoda, while others spent their time taking Instagram worthy pictures instead since the location was absolutely stunning. We learned that the difference between a pagoda and temple is that while a temple houses a deity that people can worship, pagodas house relics instead, but both are considered sacred. Afterwards, we visited the Bao Gong Memorial and was given a brief history lesson about his life. We learned that Bao Gong was a very well-respected government official who judged very fairly and was very loyal to the emperor. As a result, he was well loved by everyone and a memorial was built for him. After lunch, each group was given time to do field research. 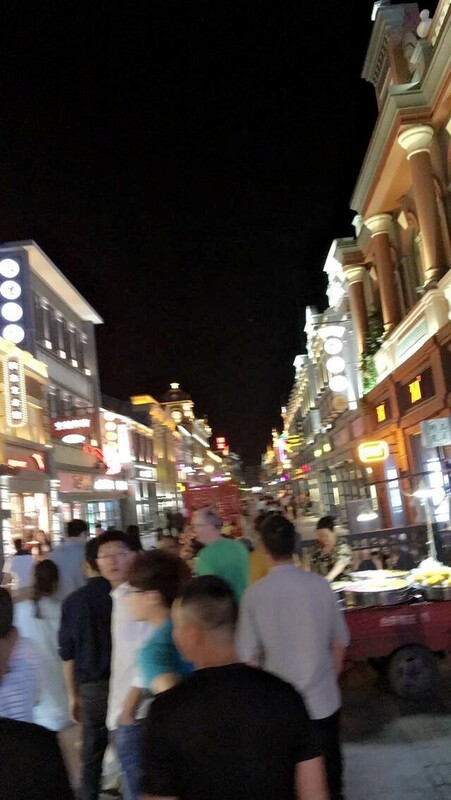 Our group decided to go to a mall in Kaifeng to check out some foreign clothing stores there, so we can compare them to Chinese clothing stores. 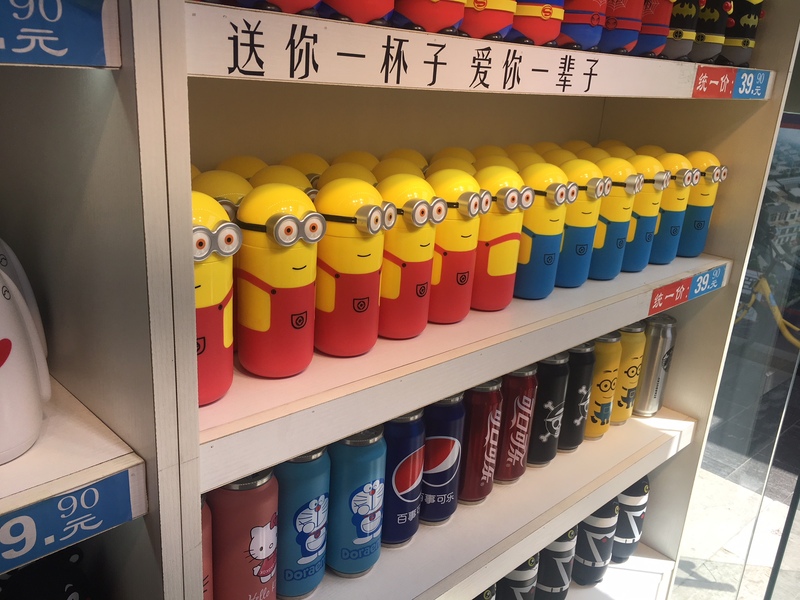 In the mall, we went to Peacebird’s men store, and found that that their marketing strategy was to collaborate with the Coca-Cola company. We spoke to the saleswoman and was told that one of their shirts that had the Coke logo on it was the best-seller of the store. We also noticed that this item was the most heavily foreign influenced item sold in the store, as Coca-Cola is an American company. This piece of information is very helpful because it serves as evidence that consumers prefer designs associated with foreign culture. 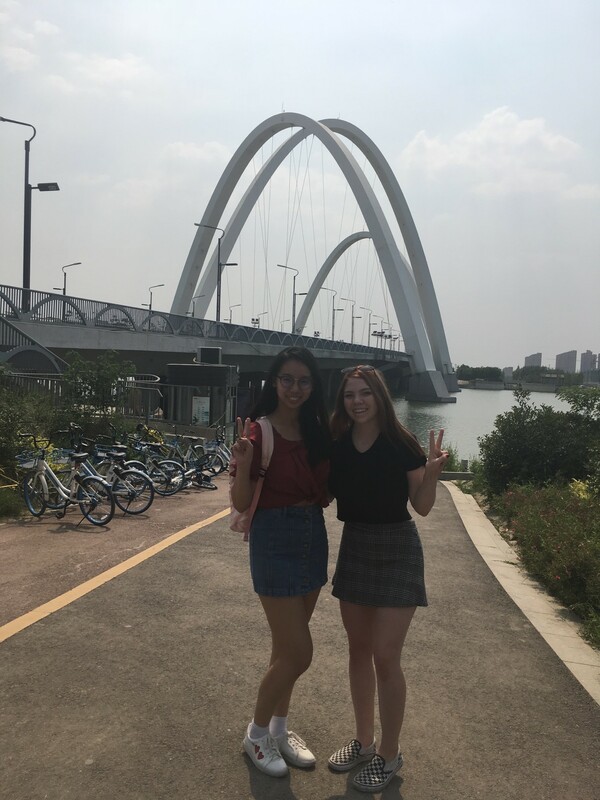 After visiting Peacebird, we took a walk around the new city and then headed to a bakery to buy a cake to celebrate Professor Sheehan’s 10th year of leading the Global East Asia China trip! We picked out an oreo cheesecake and celebrated with it at dinner. 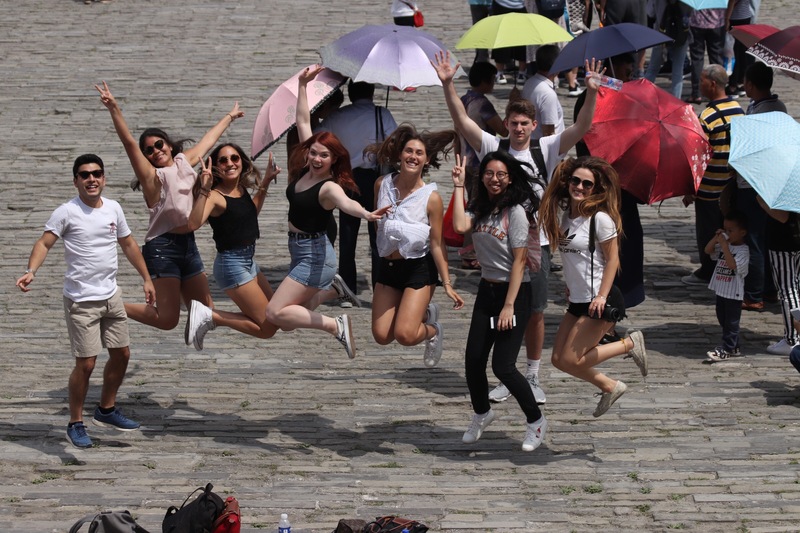 This was our last day in Kaifeng so we all wanted to make the most of it. First we had the morning and afternoon to work on our projects and present our projects to our peers. 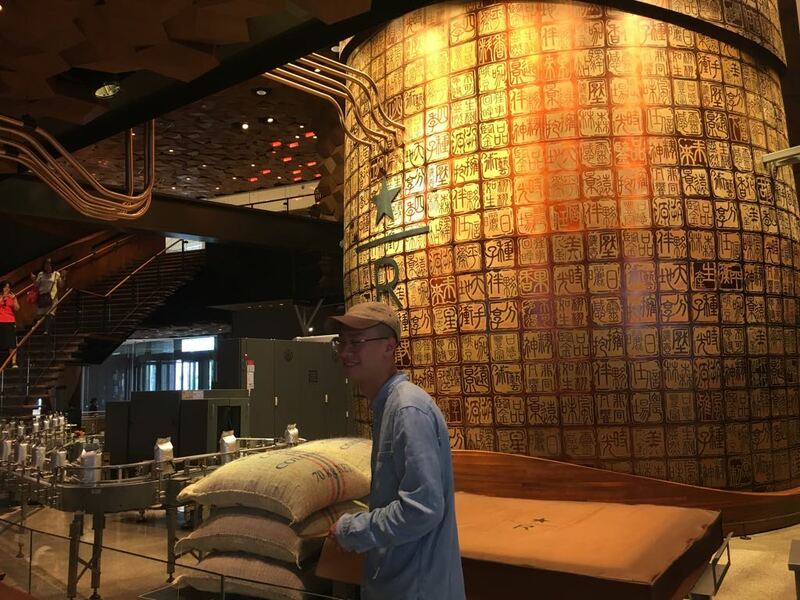 The Caramel Macchiatos are researching consumer coffee culture in China, and has the only Starbucks in Kaifeng as their main hangout spot. In fact, they headed there today for lunch and met up with me (Leah King) Ryan, Sarah, and Jenny who were taking a quick break after doing fieldwork. All our hard work researching is paying off so far. We have started working on our thesis as well as organizing our data. After our presentations, some of us went on a run around the area. Some of the local people joined in on the fun. After Jadon, Sarah Jenny, and I went to the Donkey restaurants to eat Donkey soup (which was really good)! However, we were still hungry so we went to the Kaifeng nightmarket to eat dumplings, xiao long bao, and tofu. Lastly, we met up with Professor and some other classmates to get a 6 dollar massage! We woke up and hopped on a bus heading to Zhengzhou, the capital of the Henan Province and our fourth city as a group. 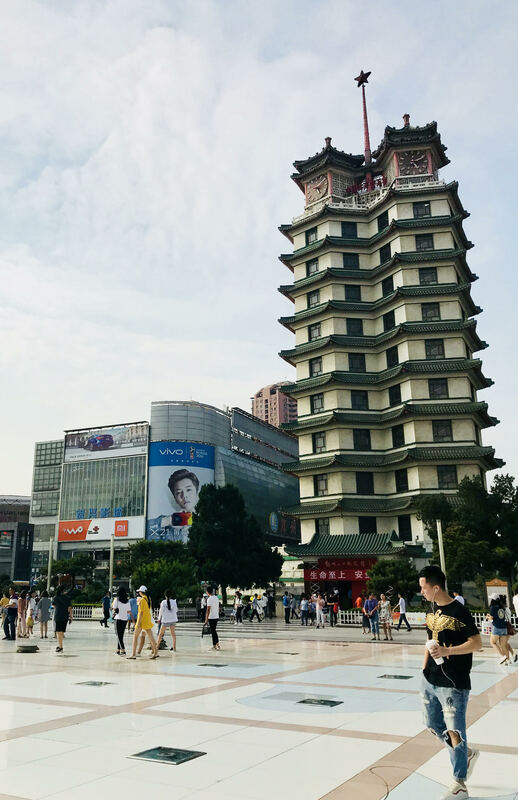 We were very excited to see what a first-tier city would be like in comparison to the provincial-level city of Beijing and the third-tier cities of Kaifeng and Shangqiu we previously visited. 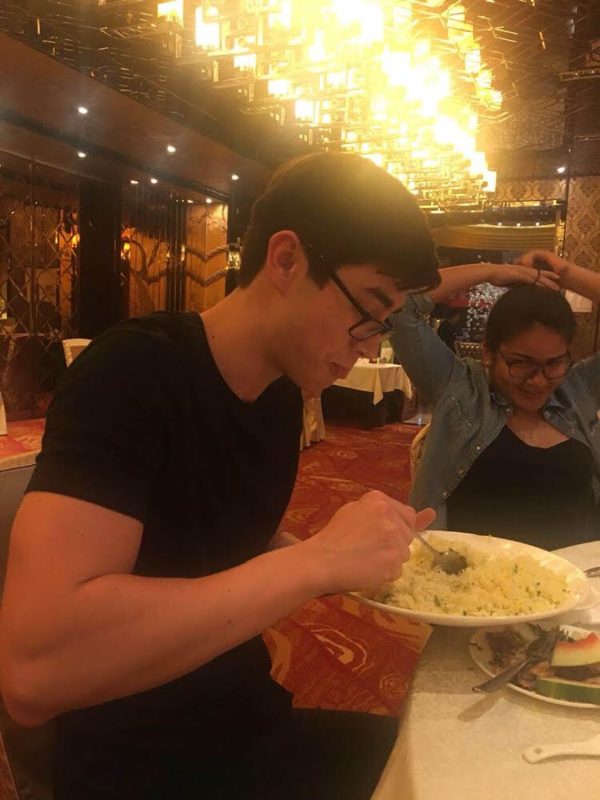 Upon arrival we had a traditional Chinese lunch, organized by our tour-guide Johnson. Our group has adhered to the local tradition of giving a speech before a meal, and today I volunteered. I took the opportunity to thank Papa Sheehan, Hao, and my classmates for such an amazing trip which I will remember eternally. Afterwards, we all got the metro to the city center together, conglomerated at Caramel Macchiato’s hangout spot (aka Starbucks) for our afternoon caffeine fix, then each group went out to conduct research. Personally, I was particularly impressed with the enormous high-end luxury malls with stores like as Versace, Moncler, and Armani. Afterwards, we all met up to walk over to an extremely special dinner together; our T.A. 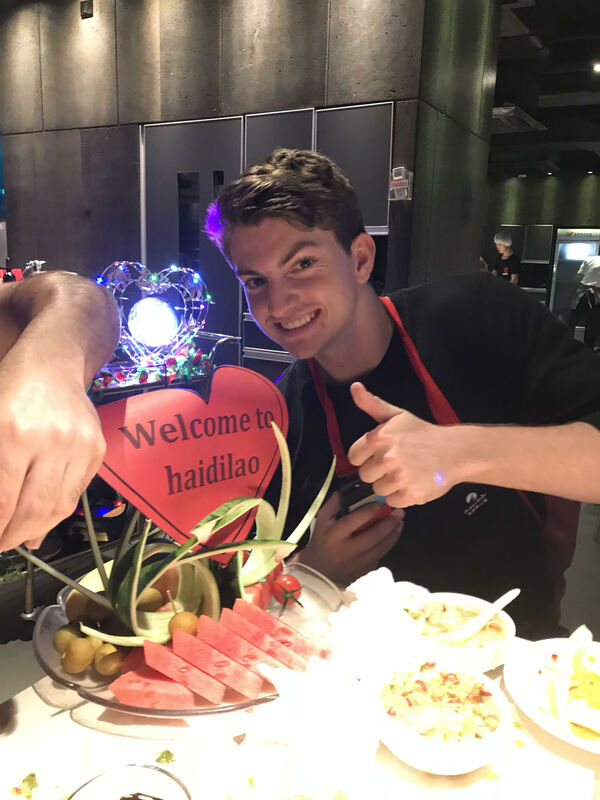 Hao was super generous and invited us to the famous Haidilao Hot Pot. It was delicious – one of my favorite group meals! 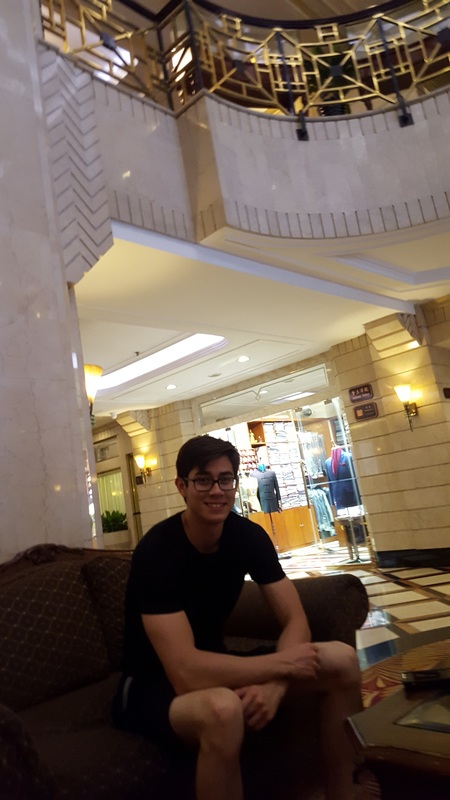 We then left directly to the hotel for an early evening before heading to Shanghai. Good night! Jadon and I started the day by meeting up with our Beijing normal student, Olivia and two of her friends, Fay and Sue. 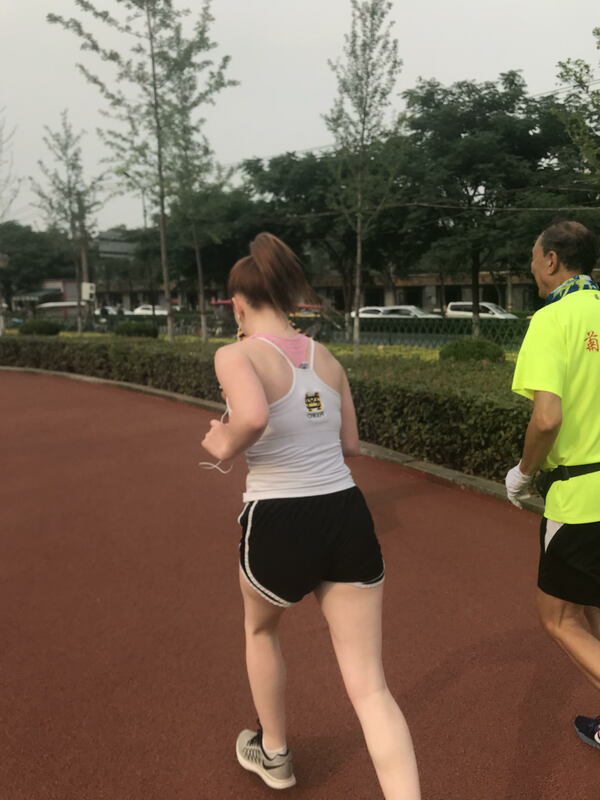 We walked around the perimeter near the Temple of Heaven to check out a few of the supermarkets for our project which provided some interesting insights to our research project, primarily what popular brands of alcohol were and what age group liked which type. After the supermarket we hopped on the number 60 bus, which cost only 2 Yuan, to head to Hou Hai. 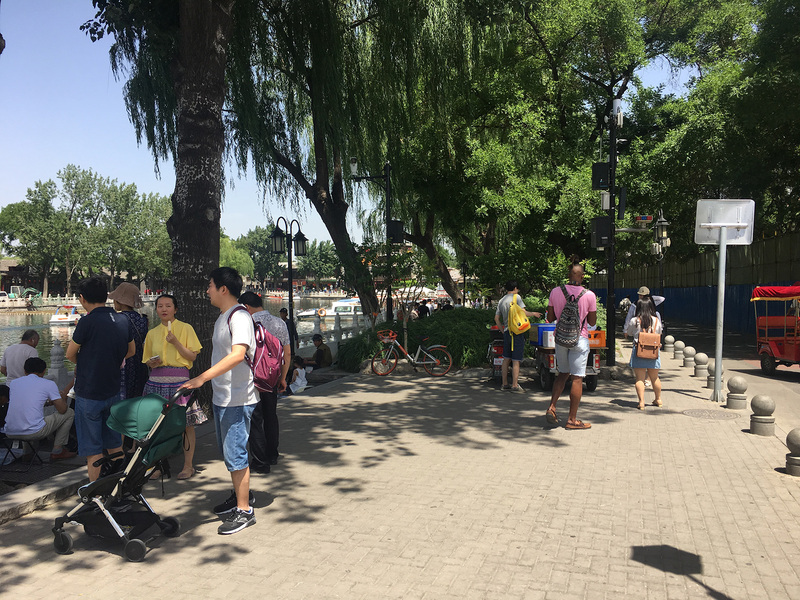 Hou Hai is a popular destination in Beijing for tourists and locals, a beautiful market district surrounding a lake. 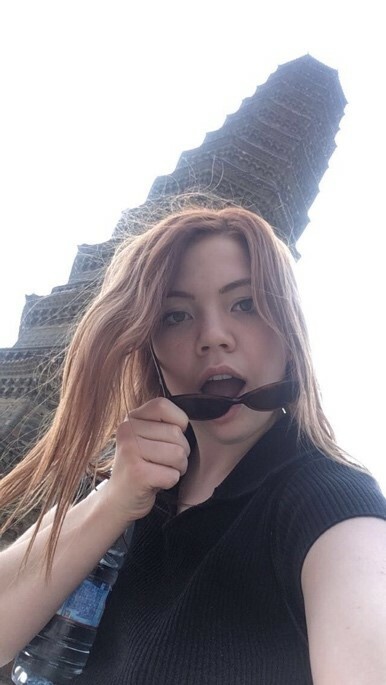 One could see globalism in action, matcha ice cream and Peppa Pig tee shirts, deep fired crab and french fries. One of my favorite moments of the trip also happened in Hou Hai. 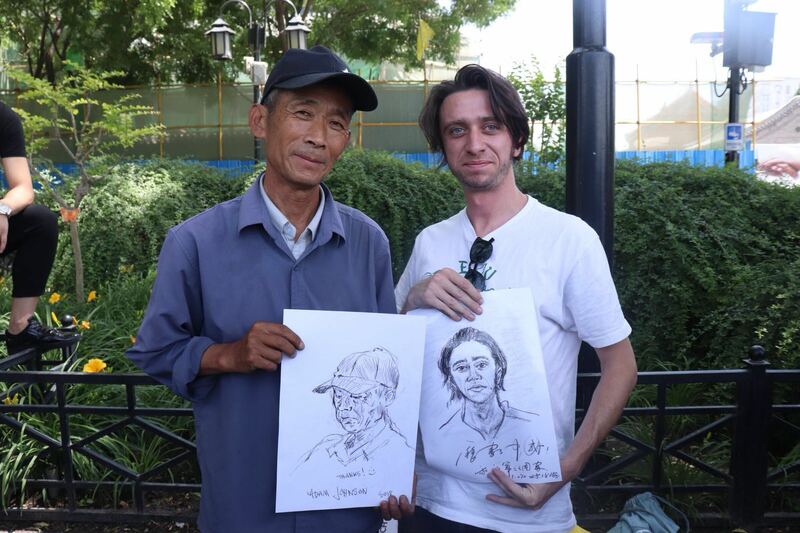 A portrait artist who draws tourists and I drew one another! The drawings came out great and it was really cool meeting a fellow artist. After finding a few pubs and alcohol stores we stopped and got dumplings. The five of us were wiped out after food so we headed back to the hotel, where I gifted the girls an American honeycomb dark chocolate bar. Athlete’s Foot went to go meet with our Beijing normal students in front of the Bank of China headquarters however we took a few wrong turns when getting off the subway and ended up in an alley! However after a short 15 minute detour we finally found Shirley (our Beijing Normal student) who brought Emma with her. Emma and Shirley go way back. The two of them took us to four malls that were surprisingly all right next to each other, and even featured all of the same stores. We then got a delicious Hong Kong style lunch with Emma and Shirley which we all agreed was the best meal of the trip so far. After the meal we parted ways and thanked them for all of their help the past couple of days. 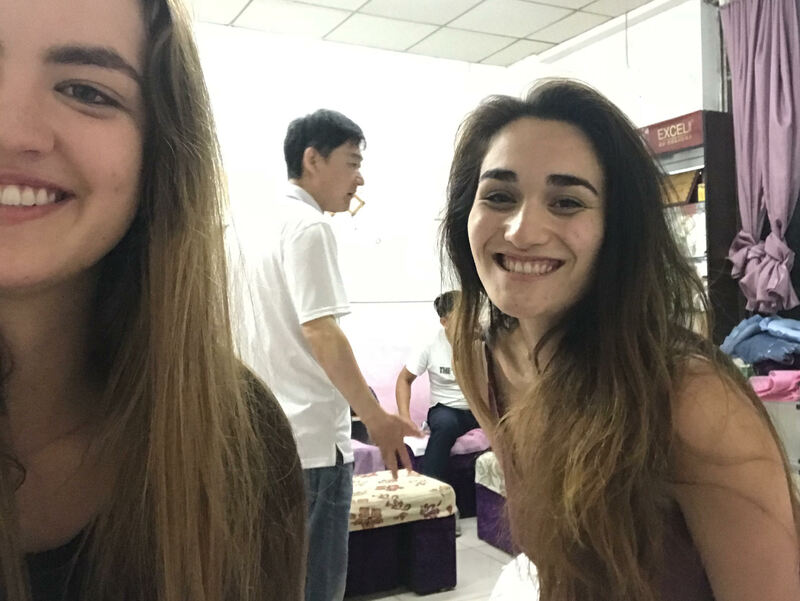 Once we got back to the hotel we linked up with the Caramel Macchiatos (Sofia, Carolina and Ana Lucia) and then decided to go to the Temple of Heaven and then the Silk Market. We all had a blast bargaining over items we wanted to buy. I ended up getting a few t-shirts and some wallets. 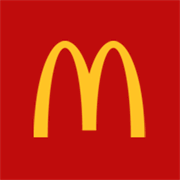 Once we finished at the silk market we decided to get in ‘touch with our roots’ and went to McDonalds, thanks to Carolina’s good eye we were able to spot the subway station and head home! Draw and Person while they draw you! May 26-27, We Made it to the Top! The big day finally arrived and it was time to climb the Great Wall! We started the day by going to the Ming Tombs. After, we went to lunch at a jade factory and were off to the Great Wall. The steps seemed to be never ending, but eventually all of us were able to make it up. Ryan, Jadon, and Leah K were the first ones up shortly followed by Leah and Kyle and everyone else close behind. The wall was a long trek, yet there were little kids making it and there was even a woman at the top in heels. We enjoyed the view that was slightly clouded, but it was rewarding nonetheless. On the way down, many of us rewarded ourselves with a well deserved ice cream bar. We had a long drive back to the hotel, but on the way back we stopped at the the site of the 2008 Olympics and saw the stadium. After dinner and a quick shower some of us decided to treat ourselves to a foot massage right next door to our hotel. 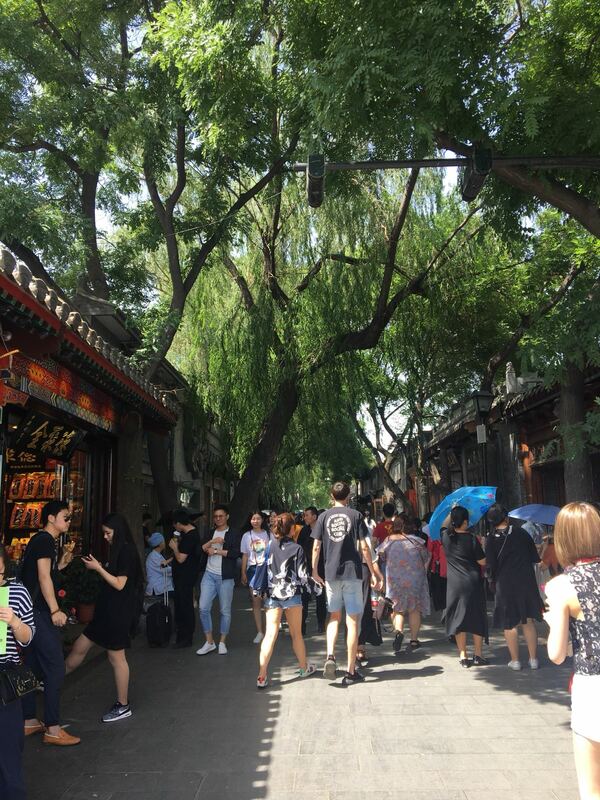 Sunday was fieldwork day and each team met up in different places with the Capital Normal students that were helping us with our projects and getting around Beijing.The Caramel Macchiatos team met in Nanluoguxiang, a popular pedestrian street with many small shops and full of trees. 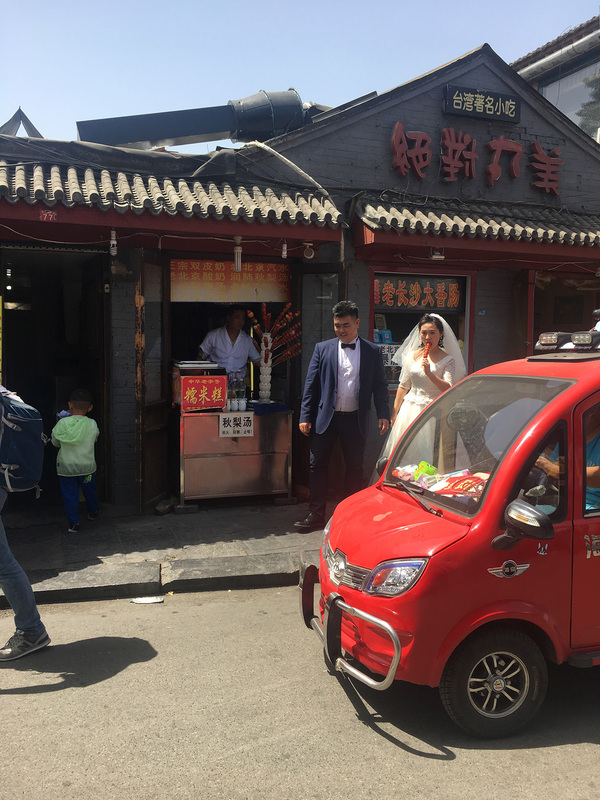 The street was captivating and lively, we were very lucky to be able to see more of Beijing while still doing our work. We were very surprised to find that most cafes were also bars and restaurants. Athletes foot met up with their Normal students in Xidan and went from mall to mall exploring the different athletic wear brands. 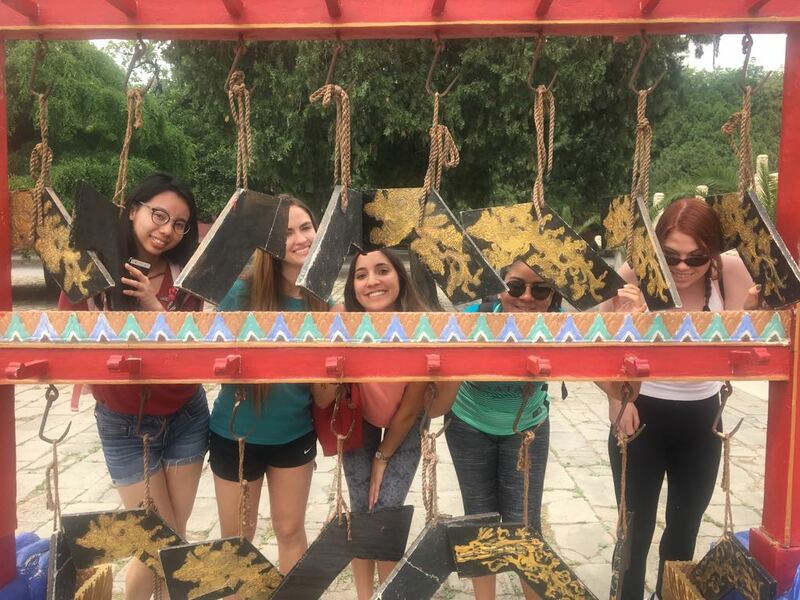 After fieldwork, some of us went to the Temple of Heaven right by our hotel and experienced its beauty. In order to get to the temple we had to walk through a park where many natives were playing cards and such in the cool shade. We finished our day with going to the Silk Street where many were able to use their new favorite phrase “太贵了” or “taiguile” (too expensive) and worked on our bargaining skills. Though all of us are tired from traveling, the first 2 days in China have been filled with splendor and excitement. The day before our flight, we all went to sleep (some stayed up) in anticipation for Beijing. We boarded the plane realizing we won’t see our homes for at least 2 weeks and the nerves and anticipation settled in. Many of us left with Professor Sheehan for the group flight and had to leave at 4 in the morning. But we did get to eat amazing sweet potato bread that Professor Sheehan baked for all of us! Our layover in Vancouver was a great time for all of us to bond – we went shopping and food-hunting in the beautiful Vancouver airport. 13 hours later, we are in Beijing where we meet our Beijing tour guide, Thomas ( Liu Jin Cheng). He is incredibly informative and very knowledgeable about the history of Beijing. The whole group meets up with Adam, who had arrived in Beijing 12 hours before the group, and we have our first of many group meals. This meal delicious!!! It was many of our first times eating “lazy susan style” with dishes placed on a large, glass circular platter in the middle of the table. We learn about toast etiquette. Our first official day in Beijing, we visit Tiananmen Square and the Forbidden City. We are all blown away by the sheer size of the square. This square fits over 1million people during the cultural revolution. We then see the massive picture of Mao as we enter the Forbidden City with over 60,000 other tourists. Fieldwork days allowed us to get so much closer to our groups. 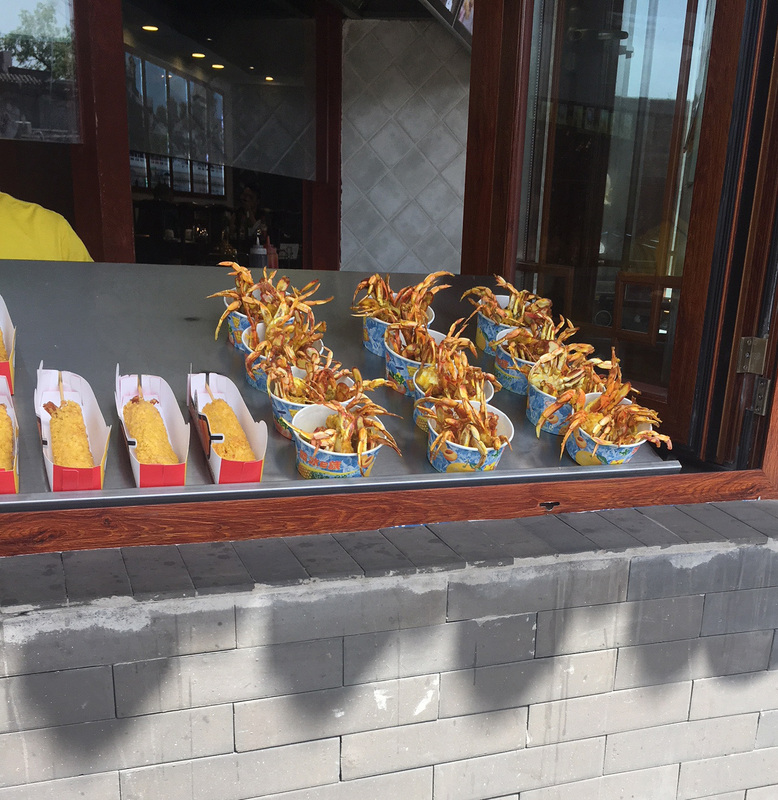 Roaming around Beijing on our own was also a unique experience that fostered closer friendships as we all struggled (but later succeeded) to find our way to multiple locations, ensuring a decent sample size. Our nights always end with some activity with the entire group – or at least those who are still awake participate. 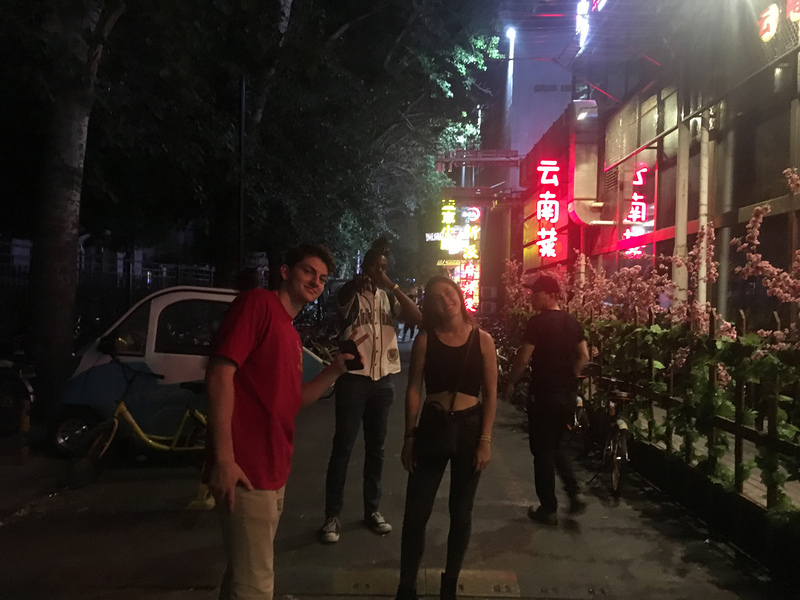 Being in an environment other than an academic one, hanging out and exploring Beijing are some of our favorite memories. It’s the final countdown! Less than 24 hours till we’re in Beijing and we couldn’t be more excited to land! 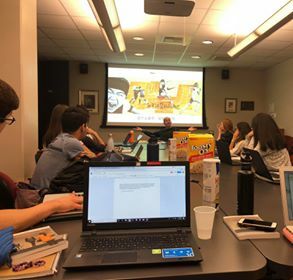 To start off class we listened to some Chinese popular music provided by the amazing Professor Sheehan that was about freedom and individual expression dating back to the beginning of the post-Mao era. After everyone arrived, Professor Sheehan started a discussion about the details of the cities we will be visiting in China. 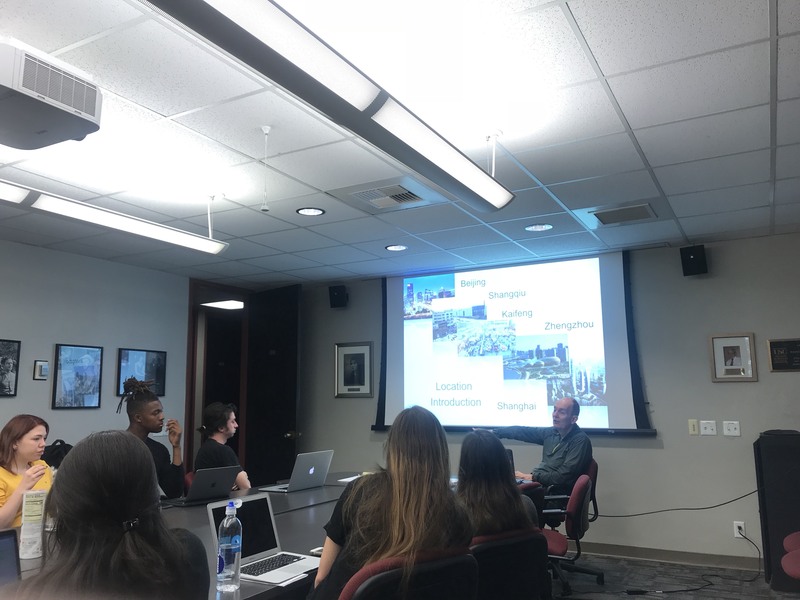 Starting with Beijing and ending with Shanghai, Professor discussed the main sites we will be visiting as well as the means of transportation we will be taking (taxi and subway) and it seems that every city is better networked than LA. In addition to how we will get around in China and the places of interest, we discussed the density of people in the main cities we will be visiting and it was insane to see that Zhengzhou hosted more than 6,000 people per square kilometer, that is one packed city! Professor Sheehan also noted that in the past decade these cities have exponentially grown, boasting populations of tens of millions. As we discovered, this exponential growth entails some social costs. In previous lectures we discussed how many individuals in China believed there was a moral degradation in their country. In today’s readings, we discussed freedom of sexual expression in both the Disco reading which discussed a young urbanite population in China that looked towards global trends to express themselves as well as the “Clothes Make the Woman” reading which discussed sexual commodification of China’s disadvantaged rural population. With the end of the Maoist era of communism, China developed a huge economic disparity between rural and urban populations. It was evident in the readings that the urban population of China had the choice as to how they want to sexually represent themselves while the rural population of China who moved to the cities lacked this freedom. More specifically, the women moving from rural villages to work in factories were often scammed for free labor and as a result of mounting debt, found their only option was to sell their own bodies. Lastly, we were given our second quiz of the class that focused on an advertisement for a Chinese domestic car company that advertised directly to Shanghai consumers. Two days before we leave to China!!! May 21 – 2 Days Left! Over the weekend we had to write a two page paper analyzing an advertisement relating to our research topic and today we began class by showcasing our findings through an informal presentation. Our class groups have chosen to research very distinct topics so it was fun to examine a variety of images ranging from Starbucks products to Chinese fashion, medicine, and nightlife. The example below is of a Chinese Nike advertisement presented by our classmate, Ron, who plans to study sportswear in China. This exercise demonstrated how far globalization has spread to transverse international boundaries, while at the same time often assuming prior global knowledge. Professor Sheehan was right in saying that “after this class we will never be able to see advertisements in the same way again.” I learned that all the components and positioning within an advertisement has a strategic meaning or purpose. After a short break, we were informed that we got a new TA! Unfortunately, our old TA is not able to accompany us on the trip and since there are a few people (like me!) who can’t speak any Chinese I was a bit worried about fighting over Professor Sheehan’s time. But luckily the problem was solved and it will be very nice to have another person to help! We then continued our lecture about Chinese history, focusing on the time period from 1975 to the present day. Specifically, the transition from Maoist Socialist rule to Deng Xiaoping’s leadership and introduction of capitalism. What I found most interesting was the movement towards the “four modernizations” which looked towards a more global future in industry, agriculture, science, and military post Mao rule. This new addition to the Chinese mentality strove for better international relations and openness, helping to accelerate China’s economic growth to eventually become a world power. Towards the end of the lecture, Professor Sheehan also talked about how globalization leads to Chinese consciousness of international culture and news. 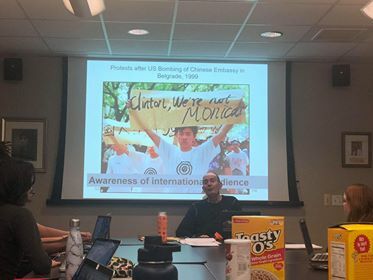 For example, the slide above shows a Chinese citizen holding a banner with the phrase “Clinton, we’re not Monica” after the US bombed the Chinese embassy in Belgrade. 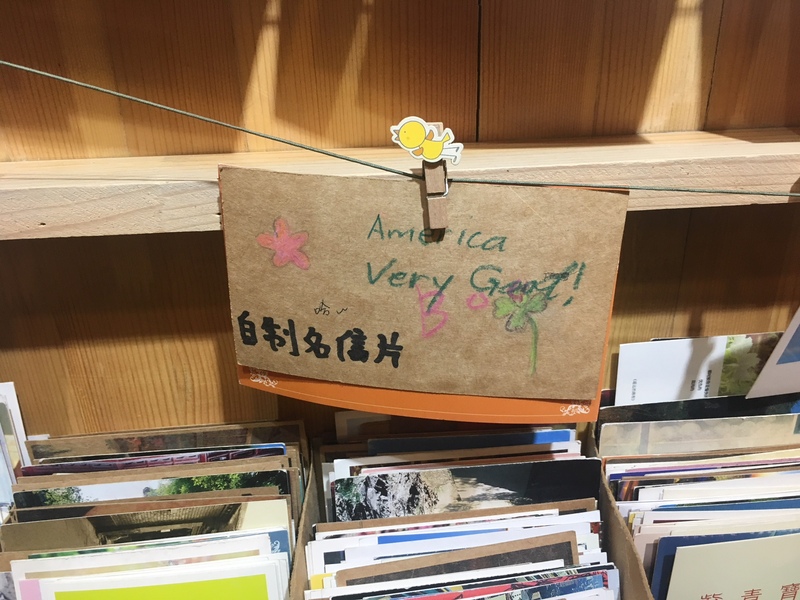 This is a perfect example of a newfound Chinese understanding that with globalization there is access to an international audience and knowledge. We wrapped up our class today by discussing the last few chapters from Consumption in China by Lianne Yu who writes about topics such as censorship, morality, consumer rights and more. Her book helped highlight the significance of “neo-tribes” and the “virtu-real” world whereby in China the crossing over between the physical and virtual world has become seamless. It’s Friday! Only 4 more days till we are off to China. 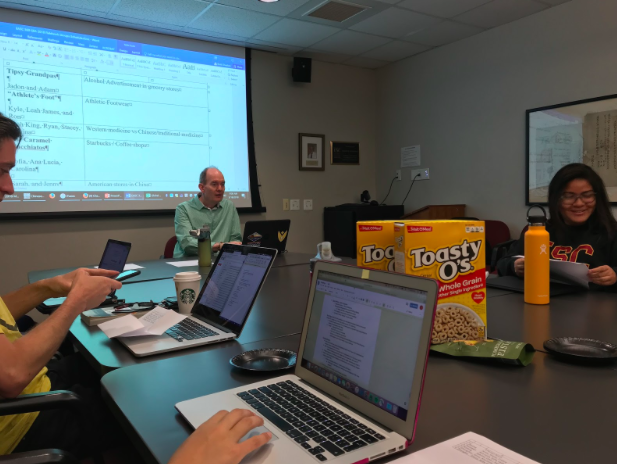 Today we discussed our main course text, Lianne Yu’s Consumption in China and global connection from 1945 – present. We had very interesting discussions regarding the Lifestyle and Commodification chapters. Some interesting points from the chapters discussed the lifestyles of the younger and older generations and how that influenced their consumer behavior. Specifically, we learned a lot about the extent of the one-child policy to modern day Chinese consumer culture. In addition, we came up with our group names and continued researching our topics. One group name is called The Caramel Macchiatos because they are researching about Starbucks and coffee shops in China. Another group called 保健品（baojianpin) is researching about Chinese traditional medicine and Western medicine. 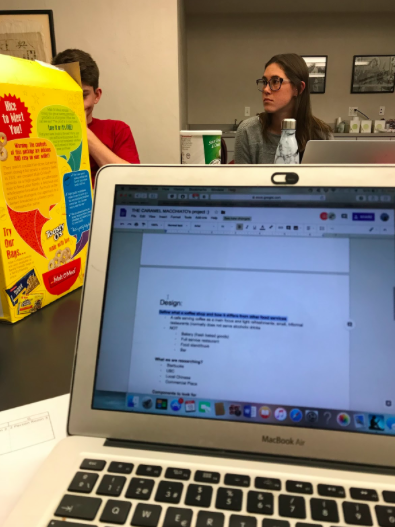 After finalizing our group names, we met with the rest of our group to come up with a straight-forward, clear research plan and design. By planning ahead and making sure that the research plan is easy to follow, we save time in the field. Lastly, we wrapped up the first week of classes with a very engaging lecture about Global and Chinese Interactions in the period of 1945 to present. Learning about Maoism and a global movement with student and revolutionaries and the cold war world gave us an important background to analyze China’s upcoming cultural revolution and class structure. We now only have two more lecture days before boarding to China, and can’t wait to apply our new skills on the ground.